In 1800, William Carey established a Mission Press in Serampore for the initial purpose of publishing scripture translations. In 1817, W. H. Pearce, who had trained at The Clarendon Press, Oxford, came to Serampore and associated himself with William Ward, the Serampore printer and colleague of William Carey and Joshua Marshman. 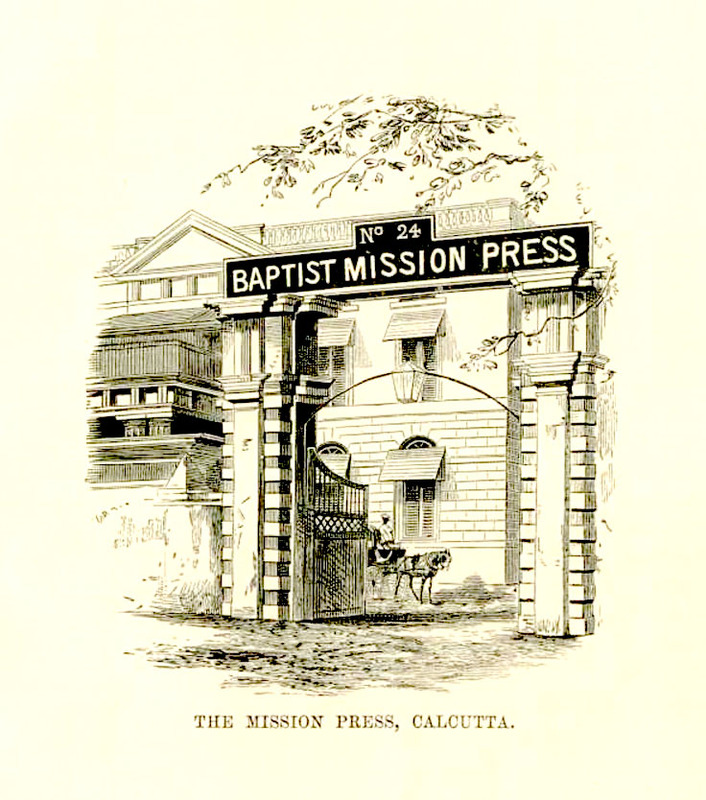 In 1818, the Baptist Mission Press opened in Calcutta, as Pearce sought to parallel Ward’s work in Serampore. After fifteen years of dual operation, the two presses joined together in a common purpose in 1837. The date and photographer’s name of the above photo of the BMP building are not known. Many interesting pictorials of BMP can be seen online in the booklet, ‘The Carey Exhibition of Early Printing and Fine Printing at the National Library Calcutta‘ dated 195l. This entry was posted in Christianity, Commercial Houses, Educational Institution, Missionary Works, Press/ Publications, Socio-Cultural Institutions and tagged baptist mission, baptist mission press, calcutta, joshua marshman, language books india, letterpress printers, mission press, old calcutta, printing press, serampore, w h pearce, william carey, William Carey ress.